Coorg, also Kodagu, is a picturesque town of rolling hills, wonderful waterfalls and misty landscapes. Popularly known as ‘The Scotland of the East’, Coorg is a favoured weekend getaway from Bangalore (265 km), Mysore (107 km) and Mangalore (151 km). Garlanded by majestic mountains, this plantation town shimmering in lush greenery is a sight for sore eyes. Coorg experiences a cool climate throughout the year making it just perfect for its many visitors from around the world. Nestled in the bosom of the Western Ghats, town also sees a flock of solace seekers, honeymooners, adventurers and wildlife enthusiasts. The town is easily accessible by both flights and trains; the nearest airport to Coorg is Mangalore (Mangaluru Airport) and the nearest railway station is Mysore. Bus as well as taxi services are available at all times to take you to Coorg. 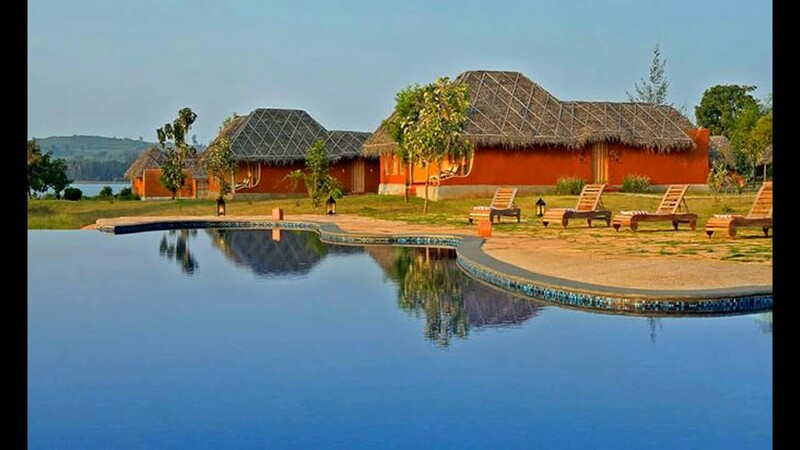 You can easily get hotels in Coorg; book online to get the best rates. Every mountain, every plantation, every corner, every spot is scenic in Coorg. Take your time, take in the scenery and be rejuvenated. The roar of Abbey Falls, especially in the monsoon months, is a must-experience. Walk through aromatic coffee and cardamom plantations to reach it. Witness the glorious wildlife of Coorg at the Nagarhole National Park, which is India’s first biosphere reserve. Spot a few bisons, elephant, spotted deer, barking deer, mongoose, and if you’re fortunate enough, panthers and tigers too. Watch the sun come up or go down at Raja’s Seat, which is a tourist-favourite spot in Coorg. And guess what? The entry fee is only INR 5. Relax amidst bamboo groves, and beautiful sandalwood trees at Cauvery Nisargadhama, an isolated island spanning 64 km that could be reached via hanging ropes. Seek your spiritual self at Namdroling Nyingmapa Monastery, one of the most beautiful Buddhist monasteries in India. Shop for shawls and other local artefacts at the handloom and handicraft stores located in the premise. Relive history at the Nalknad Palace, the former hunting lodge of a Kodagu king from 1794. Coorg offers, more than anything else, a romantic respite. The weather is always ideal to lounge around with a warm drink or for taking a lazy stroll hand-in-hand with your loved one down the winding paths of the town. Not to dismay the adrenaline-pushers, Coorg has its share of adventure activities as well. A five-hour jeep drive through gorgeous grasslands and mist-enveloped hills to watch a sunset in Mandalpatti is an enchanting experience. The panoramic view of the sky and the valley down below is more mesmerizing than words can ever describe. If you want to test your limits, trek to the breathtaking Brahmagiri Peak. Bask in the glory of surreal sights of sparkling streams and spectacular view-points on the way up. Raft the rapids of the Barapole River for a thrilling time with your friends or family. Book your slots a few days ahead to make sure that you do not miss out on the adventure. The hills of Coorg are perfect for Quad Biking, which also presents you with the best opportunity to explore the high grasslands and lay your eyes on some rare migratory birds. Experience the blissful beauty of Coorg from high up in the air, courtesy of Microlight flying. Enjoy a 10-minute or a 30-minute ride for only INR 2500 per person. First of all, plan at least a 5-day trip to Coorg to thoroughly enjoy its scintillating sceneries and to partake in the many adventure activities the town offers. Secondly, pack according to the fluctuating weather of Coorg, which means light cotton shirts as well as warm shawls and sweaters. Lastly, remember to take as many pictures as you can, because Coorg is an outstanding place and deserves a special place in your memory. Also, to make others red with envy of your trip. So, let loose your worries and allow yourself to be rejuvenated in emerald-enveloped Coorg.